10. Gold Seal was headquartered in Bismarck. 9. It was founded in 1942. 8. In 1965, the Medora Division of the Gold Seal Company was opened. 7. Gold Seal’s profits dramatically increased when Harold introduced a product called Glass Wax. The product was met with national acclaim. 6. Gold Seal was sold to Airwick Industries in 1986. 5. To create the Theodore Roosevelt Medora Foundation, stockholders of Gold Seal agreed to donate all of their Medora assets to this budding foundation. 4. 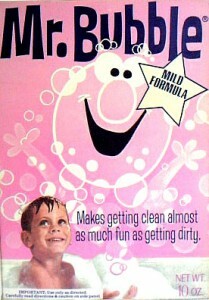 Besides Glass Wax, Harold sold two other products, Snowy Bleach and Mr. Bubble, that eventually became the number one selling product in the world in their respective categories. 3. Gold Seal’s initial profit in 1943 was $901.02. 2. At its height, Gold Seal had annual revenues of $50 million. 1. Gold Seal had 22 stockholders: Harold and Sheila, seven of their children, and twelve grandchildren. The other stockholder was Erma Wolters, Harold’s longtime secretary and friend.